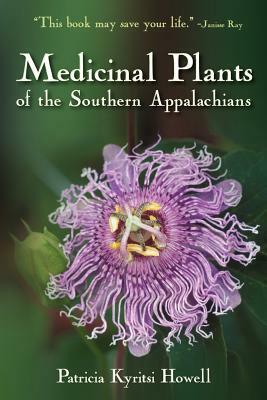 This concise guide to medicinal plants of the Southern Appalachians includes botanical descriptions of 45 native plants, their historical and current uses in herbal practice, detailed, easy-to-follow medicine making instructions and unique recipes for syrups, liniments, digestive bitters and more. The book invites the reader to explore native plants in their wild habitats and offers step-by-step ethical harvesting guidelines while emphasizing conservation issues. 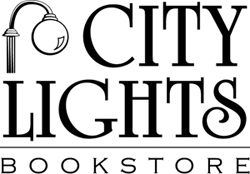 The author is a well-respected medical herbalist and teacher who lives in the mountains of north Georgia. Praise for Medicinal Plants of the Southern Appalachians. "This is one volume that I want to own as we enter the post-corporate age: a priceless guide to Southern plant alchemy. This practical yet enchanting botanical brings an ancient art to modernity. These pages are as rich as the cove forests they honor. Even to peruse Howell's manual is healing, and exhilarating, not only because of the book's inherent beauty, but because it contains vital knowledge all of us will need as fossil fuels dwindle and we return to the local. One day this book may save your life." Janisse Ray, author of Ecology of a Cracker Childhood, Wild Card Quilt and Pinhook: Finding Wholeness in a Fragmented Land "An elegant introduction presented in a clear-as-a-bell style that educates as well as entertains." Peter Loewer, author of The Wild Gardener and Jefferson's Garden "There are many comprehensive volumes about medicinal plants in other regions of North America but none for the botanically rich southeast. Now, a widely experienced and knowledgeable herbalist has written a thorough guide to the virtues of Yellow Root, Rabbit Tobacco, Dogwood Bark, Sweet Fern and other better known herbs of the region. From Howell's book, readers can learn to use local plants safely and consciously to improve the health of their families or patients." David Winston, RH (AHG), Dean, Herbal Therapeutics School of Herbal Medicine "An excellent, much needed resource on Southeastern herbs. Well thought out and easy to follow." Tim Blakely, co-author of The Bootstrap Guide to Medicinal Herbs in the Garden, Field and Marketplace "I often remind veterinarians that the foundation of botanical medicine lies in the experience of learning all aspects of medicinal plants thoroughly. This book guides the reader out of the classroom and into the fields and forest where plants become, to the student, more tangible sources of healing. Recommended for any practitioner who wants to deepen their understanding of our native apothecary." Susan Wynn, DVM, RH (AHG), Executive Director, Veterinary Botanical Medical Assoc.